Today my husband and I went to the mall. It is a 45 minutes drive from our house. We went shopping separately when we get inside the mall. He went to Macy’s for Men to shop for his outfit. I went to Sear’s to shop for a dress for my little girl. I am looking for a dress that is white that she can wear for her brother’s first communion this Sunday. I saw this dress hanging near the wall. The moment I see it, I said to myself that is the perfect dress for her and the occasion. I am so happy that it is a size six which is the size that she is currently wearing. 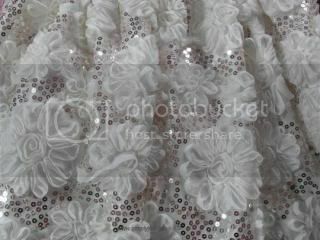 The dress is white with bold pretty flowers and sequins all around the dress. The only thing is? It is sleeveless. The dress is $54. I thought this dress is very expensive. There is no way that I will buy that dress for that prize. It is way too expensive. I am glad that is 50% off which goes down to $27. I also bought a black peacock coat that will go with her dress this Sunday. This Sunday is very chilly too. The temperature is only in the 40’s. I am linking this entry to Wednesday Whites. 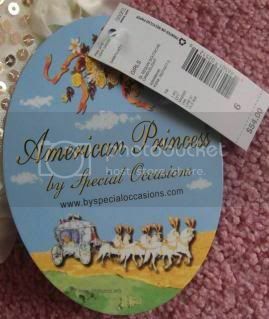 This entry was posted in clothing, dress, occasion, shopping, store and tagged First Communion, Macy's for Men, Sear's, sequins on October 24, 2012 by simplyjess.